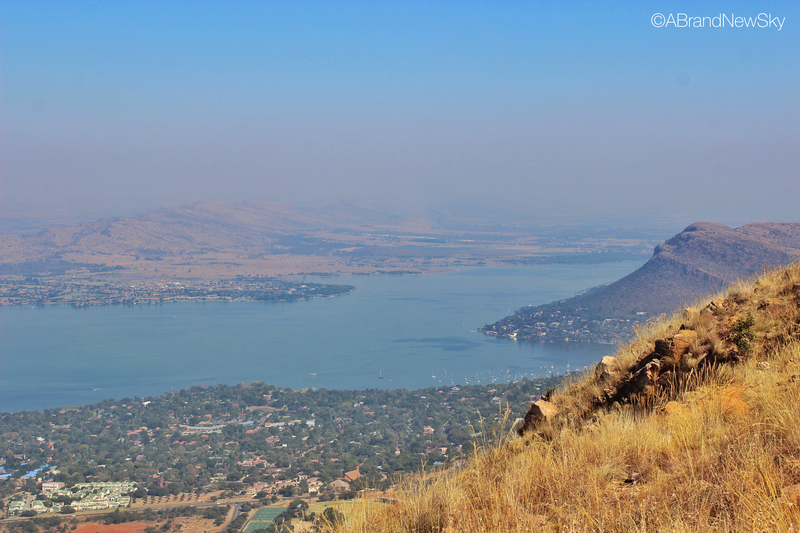 When I drove to Hartbeespoort a few weeks ago, I was on very tight schedule: a tour had been arranged with a visit of the Elephant sanctuary at 8:00 am, followed by the Monkey Sanctuary and ending with a ride on the cableway. With all that, I was still hoping to make it on time for lunch in Johannesburg. I’ve always been an optimist but even I knew that, in all likelihood, this was going to be a challenge. Everything started well. 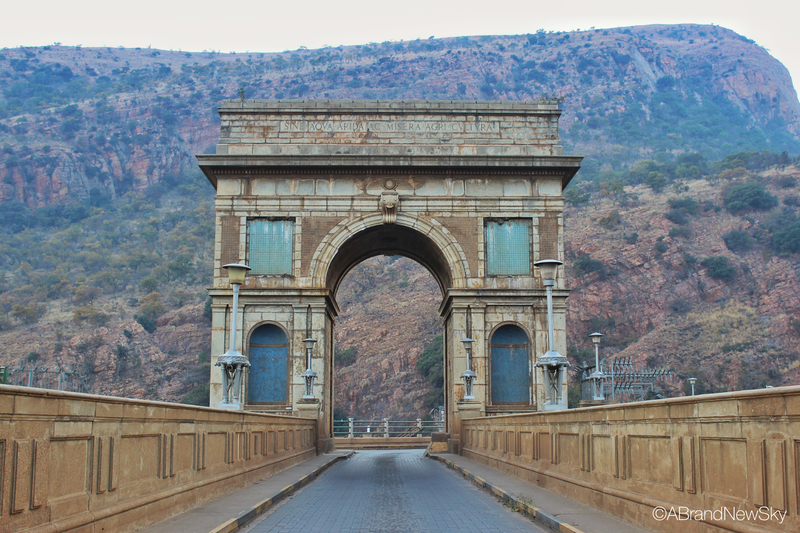 I made it on time to the Elephant Sanctuary, despite having stopped a few times on the road to take pictures of the sunrise and the stunning structure of the dam wall. Of course, my heart bumped a bit harder when I saw the misplaced (and quite elegant) “Arc de Triomphe” on the top of the wall. I was loving the place already. The magic of the Harties had started to kick in. Ok, ok, not exactly the “Arc de Triomphe”, but close enough ,don’t you think? The Elephant sanctuary was an agreeable surprise. I’ve learned to be quite sceptical about these places in South Africa that favour interaction with wild animals and feel very ambivalent towards them. Of course, it is always a great experience to get to touch, walk, feed and learn a great deal about these huge mammals. But you never know what the true story behind these sanctuaries is, how the elephants ended there, and how the influx of tourists affect them. I was happy to see that the tour was organised with a very small group of people and that the interaction with the animals kept to a minimum: long enough to build everlasting memories, but short enough to give them time to rest before seeing the next group. As for the elephants, there were massive and in an apparent good shape. I enjoyed a lot touching them, their skin feels like massive patch of hairy cork, but I didn’t create such a strong bond as to get a kiss from them: seeing the lady before me receiving litres of gelly mucus on her freshly put on make up didn’t make me very eager to get mine. Here is Themba, a big golden elephant that will be my new friend for the next 30 minutes or so! If I loved the interaction with the elephants, I enjoyed the Bush Babies Monkey sanctuary even more as this time, it was crystal clear that the monkeys had been rescued from the negligenge and ignorance of their previous owners, who had initially bought them a pet toys to then realise, as the monkeys matured, that they were actually wild animals, requiring lots of care and attention, with a tendency towards aggressive behaviours. There, in the sanctuary, dozens of tiny primates, such as squirrel, spider and capuchin monkeys or even lemurs were roaming freely within the 7 h.a. of enclosed territory, coming to greet and observe you, and very likely, to steal some of your belongings. Keys, phones and shiny jewellery had better to be kept hidden, as some monkeys have been professionally trained by their previous owners to steal such treasures. And the bad habits linger! More than welcoming. It is actually gorgeous! The Bush Babies Monkey sanctuary is located on the same ground as the Elephant sanctuary, and as the tour lasts approximately one hour, maybe a bit less, I was still very much on schedule. I left the place delighted by all I had seen. Spending two hours with the animals had had a deep effect on my mood. I was quite euphoric and drove very happily towards the aerial cableway. 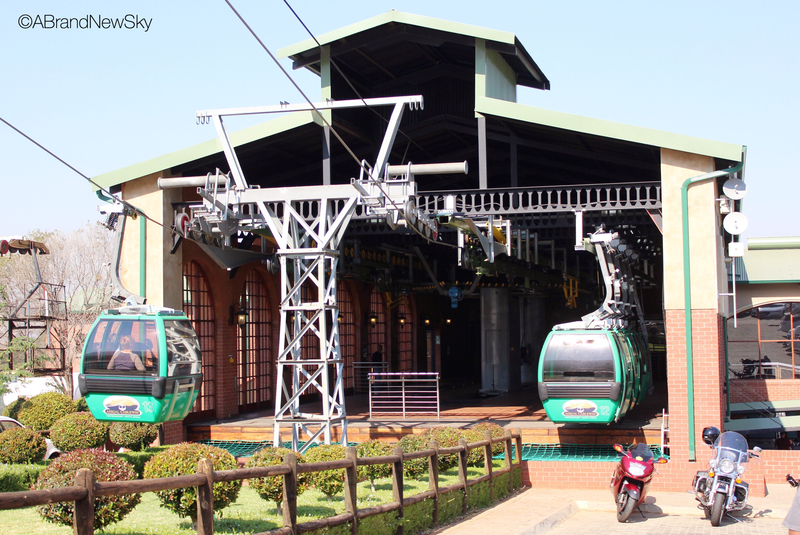 The Harties Cableway, fully renovated in 2010, is the main attraction in Hartbeespoort. Having lived in Switzerland for quite a while, and having spent most of my holidays as a child in the Alps, I must admit I didn’t expect much of the “longest cableway in Africa”. Well, I was right in the sense that it is as any other cableway. Nice structure, nice feeling, and quite a smooth ride. But I was also very wrong. 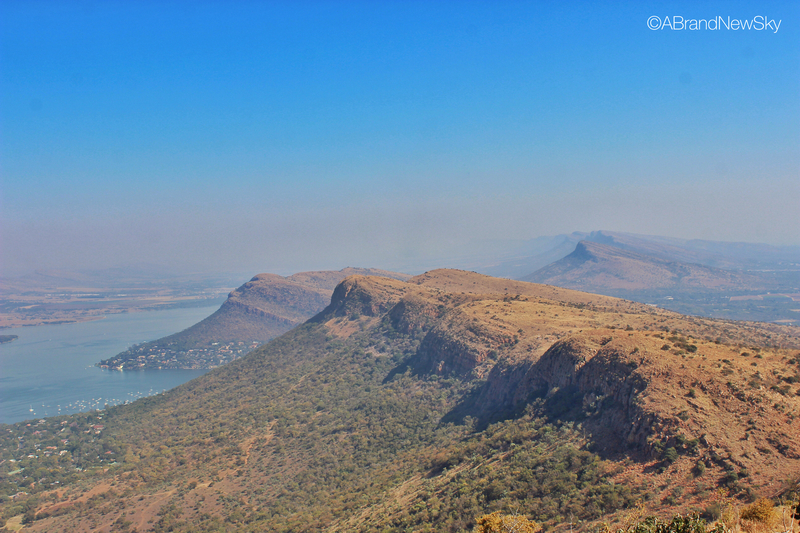 I wasn’t prepared for the stunning view you get from the top of the mountain, with the slopes of the Magaliesberg mountains plunging delicately into the water of the dam, surrounded by the friendly shapes of the range, rocky pillows hanging below a deep blue sky. The top of the moutain just seemed like paradise to me! See, the thing is, Johannesburg is the biggest city in the world that does lie next to a sea, a river or a lake. It is a city that was never supposed to exist, hadn’t it been for the gold mines that started its expansion. And although you don’t actually notice, you always feel that there is something strange, something odd about the place. Crossing the Mandela Bridge perfectly illustrates this feeling: you go on this magnificent structure, look down, eager to see the flow of the river whirling under you feet, and what you get to see is a sea of yellow and grey trains stationed below, waiting to enter the Park Station. It feels surreal. So when you get to the Harties and see the azul reflection of the dam below your feet, it is as if everything is coming back to place. It feels good. You are in a place where you belong, a place of water. The sight had a very calming effect on me, and I spend quite a lot of time resting my eyes on it. Everything started to derail when I decided to go for a walk, to enjoy the view from the top of the mountain. 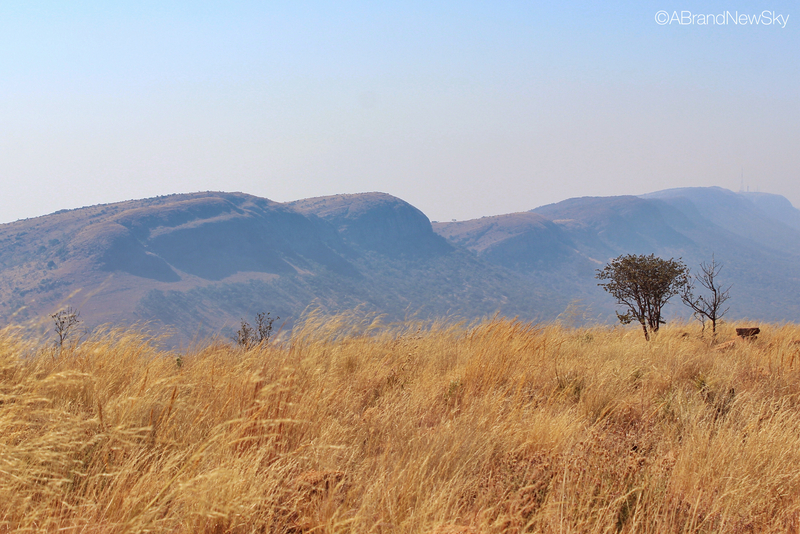 I walked in one direction, following a fence that leaded me to nowhere but to place where you could see the bushy steps of the Pilanesberg in the horizon, and then decided to come back, to find a spot where to cross the fence; going this time a little further, I took many pictures of the beautiful mountains around me, and started to get incredibly excited by the views, so much so that I decided to go back in the opposite directions, towards the cliff and some place where you could see the vegetation burnt to the ground, to explore the place a bit more. I spent a lot of time there, enjoying the mid-day sun and the cool breeze of the top of the mountain. 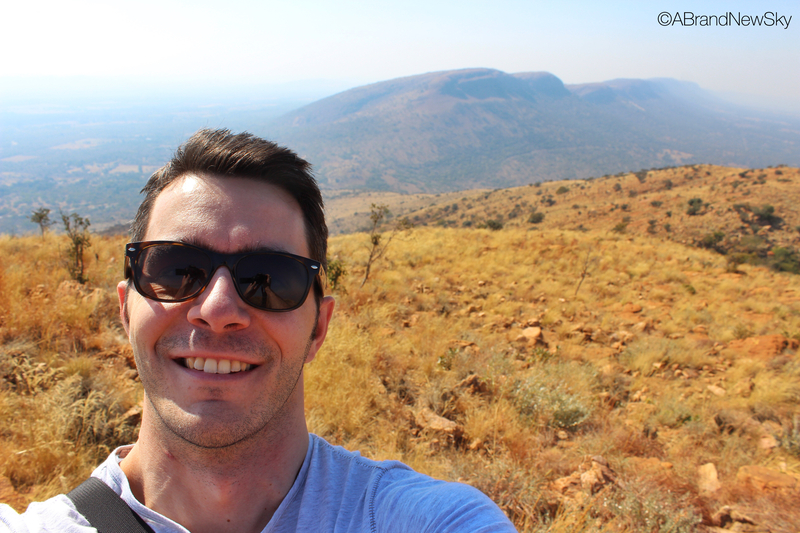 For once, I was not in an enclosed area, a feeling that in South Africa is still too rare not to be precious. After a while, I looked down at my watch. Damn it, it was 1:00 pm already, I had spent more than two hours on the top of the mountain, caught up in this dreamy atmosphere. I was very late for lunch and hadn’t warned anyone. I hurried down to my car and drove as quickly (and safely) as possible back to Johannesburg. Luckily for me, the Roland-Garros finale was just about to start, and Luis was far too absorbed by the game to pay attention to the time it was. I let him watch the game on his own, and spent the rest of the day dreaming about monkeys, elephants and the blue sight of the dam. The magic of Harties had win me over. I was already planning my next trip there. 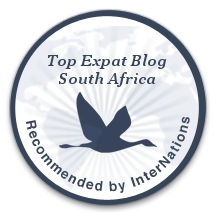 You can click on the following links for more information about the Harties, the Elephant Sanctuary, the Bush Babies Monkey Sanctuary and the Harties Cableway. ← Rovos, or the art to travel back in time. In style!